Working with over 1,000 tons of sand, these sand sculptors have created amazing pieces of art in what is known as one of the 10 best sand sculpting competitions in the world. 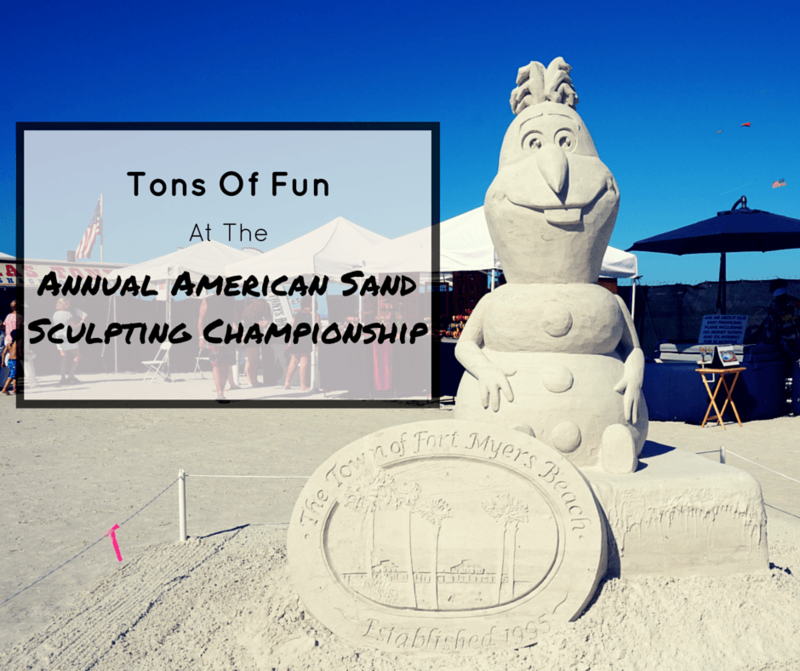 Last November, the 29th Annual American Sand Sculpting Championship was held in sunny Fort Myers Beach, Florida. Sculptors from all over the world converged on the beautiful white sand to create over 40 unique pieces of art. The event was held over 10 days and was directly behind the Wyndham Garden Hotel, right on the beach. The competition was broken down between Master Sculptors in the Solo Division, Master Sculptors in the Duo Division, Advanced Amateur Sculptors, and Amateur Sculptors. Needless to say, all of the sand sculptures were amazing. As I walked around, some pieces were already completed while others were still being worked on. It was really impressive to see the sculptors at work on their masterpieces. They had such intense looks on their faces; the passion and love for their craft was evident. Aside from admiring the sand sculptures, visitors could also check out the Vendor Village with lots of unique items, eat some great food, enjoy live music, and even get a lesson on how to make sand sculptures like the pros. There was also a Kid Zone with plenty of fun activities for the little ones. The 6th png photo is amazing! Reminded me of David Bowie (RIP) though I think the sculpture is a girl. Wow, in Germany? That’s awesome! I’m not a huge art museum fan, but give me art on the beach and I’m there! I always love seeing sculptures like this because you just know the time and talent that it must take to create one! Oh definitely! They are so talented! Always amazed me how intricate and I don’t think I have the patience. Wow, I enjoyed the pictures a lot. Must be great to see it in live and watch them create it. So much creativity, how do they fix it? Is there any trick? Only with water? I think they use more than just water, but I’m not sure exactly. Either way, it’s pretty cool! Love it! I went to Sandbash in Fort Myers maybe 2 years ago now and it was the best fun! I’m blown away by the sheer talent – these artists are insanely creative and gifted! Looks like a fun experience! We also have a lot of this in Boracay Island, Philippines. But why didn’t you try to do a Buddy sand sculpture?! Thanks for sharing, Vicky! Haha! I don’t think I’d have the patience! I’ve never seen sand sculptures of this level of expertise and creativity. Some of these pieces are absolutely fantastic! I know right! They’re so detailed.